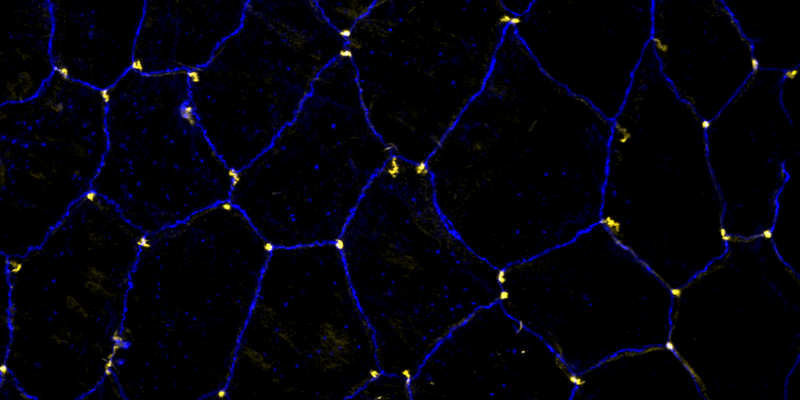 A crucial yet ill-defined step during the development of tubular networks, such as the vasculature, is the formation of connections (anastomoses) between pre-existing lumenized tubes. 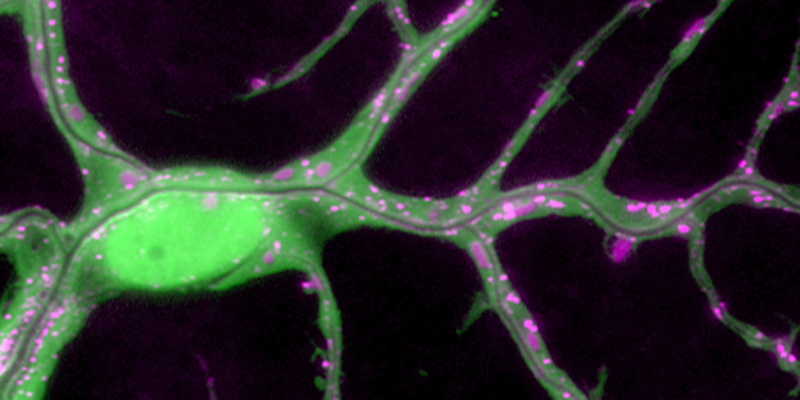 By studying tracheal tube anastomosis in Drosophila melanogaster, we uncovered a key role of secretory lysosome-related organelle (LRO) trafficking in lumen fusion. We identified the conserved calcium-binding protein Unc-13-4/Staccato (Stac) and the GTPase Rab39 as critical regulators of this process. Stac and Rab39 accumulate on dynamic vesicles, which form exclusively in fusion tip cells, move in a dynein-dependent manner, and contain late-endosomal, lysosomal, and SNARE components characteristic of LROs. The GTPase Arl3 is necessary and sufficient for Stac LRO formation and promotes Stac-dependent intracellular fusion of juxtaposed apical plasma membranes, thereby forming a transcellular lumen. Concomitantly, calcium is released locally from ER exit sites and apical membrane-associated calcium increases. We propose that calcium-dependent focused activation of LRO exocytosis restricts lumen fusion to appropriate domains within tip cells. Organs like the vertebrate vascular system and the insect tracheal system develop from separate primordia that undergo fusion events to form interconnected tubular networks. Although the correct pattern of tubular connections (anastomoses) in these organs is crucial for their normal function, the cellular and molecular mechanisms that govern tube fusion are only beginning to be understood. The process of tube fusion involves tip cell specification, cell-cell recognition and contact formation, self-avoidance, changes in cell shape and topology, lumen formation, and luminal membrane fusion. Significant insights into the underlying cellular machinery have been provided by genetic studies of tracheal tube fusion in Drosophila. Here, we summarize these findings and we highlight similarities and differences between tube fusion processes in the Drosophila tracheae and in the vertebrate vascular system. We integrate the findings from studies in vivo with the important mechanistic insights that have been gained from the analysis of tubulogenesis in cultured cells to propose a mechanistic model of tube fusion, aspects of which are likely to apply to diverse organs and organisms.